By the time you turned six months old, you had already consumed the same amount of resources that a person living in the developing world consumes in a lifetime. Over the course of your life, you’ll probably throw away nearly 600 times of your adult weight in trash. This is your trash legacy and for someone weighting around 68 kg that legacy can represent 40,825 kg of garbage. What is in all that trash? Plastics take up 7% of the volume and 30% of the weight of the total garbage flow. Right now around 80% of municipal waste in Canada ends up being dumped in a landfill. Those landfills account of 38% of Canada’s methane emissions. It also costs over $1.5 billion each year just to throw out the trash in the landfill. In other words, we’re paying a lot of money to generate a lot of methane! How does recycling help? Consider that one pound of recycled newspaper can be reused to make 6 cereal boxes, 6 egg cartons or 2,000 sheets of copy paper. Recycling just one tone of newspapers can save up to 19 trees. It also saves up to 4,000 kilowatt hours of energy and 29,000 litres of water. Now think about juice cartons. If an average elementary school could recycled 203,000 juice cartons, then it can save 2,027 kg of paper and around 38 trees. It would also mean keeping 1,068 large plastic trash bags out of the landfill. Are you inspired to expand your home recycling? That might be challenge unless you bring in a company like Junk Works. These professional junk haulers have embraced the recycling way of disposing of junk since they started business. The crews have been trained to identify all those items that could be pulled out and dropped off at certified recycling centers. It all happens automatically as part of Junk Works total junk removal package. 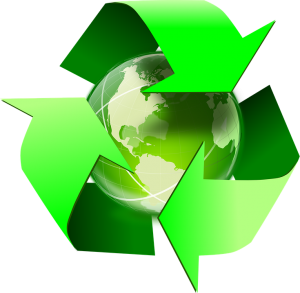 If you’re ready to step up your recycling, then Junk Works is the recycling partner you need. This entry was posted in Impact On Environment and tagged energy, junk works, recycling on November 30, 2017 by Junk King. Last updated December 4, 2017 .